Here at Pacific University the Boxer’s Athletic programs and its athletes are a major part of the university’s culture. The best way to support these athletes and the Pacific University community is to attend their games and events, and this is what Sports Information Director (SID) Danny Kambel is all about. As Pacific’s SID, he is in charge of promoting Boxer games and everything going on with the school’s athletics programs. 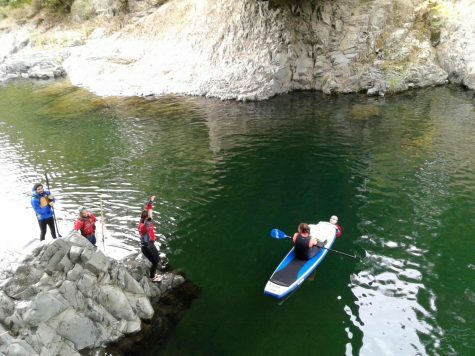 Last year was a very successful year for Kambel, as the student attendance of Pacific athletic events improved immensely from the previous year. Part of what made last year so successful was the family environment created by the core group Kambel had on staff. The positivity of this group is what created room to grow attendance at events and support for Boxer sports. Kambel created and supported the culture and family environment between all of the athletic teams and the teams would constantly go watch and support each other. This made for increased attendance at all of the games and events and increased involvement of the Pacific student body. Last year was extremely successful for Kambel and his team and they are looking forward to another successful year. This year attendance has been down a little bit, but Kambel fully believes there are ways to improve this. The best way to increase attendance and involvement is to break communication barriers, whether that be in class or all around campus. Talk to the athletes in class about when their games are. There is only one college experience and everyone should make the most out of it. The teams are already supporting each other as many groups, such as baseball and football, have many athletes show up at volleyball and soccer matches. The culture that Kambel is trying to build among the students is one of support and a family environment. Kambel was excited to announce that Red Den is now officially a club. They will be working to promote the games with promotions such as pizza, t-shirts and other fun stuff. Red Den in the past has just been the student cheering section and in charge of promoting games, but now they have a budget and will be working even harder to get students out at the games. 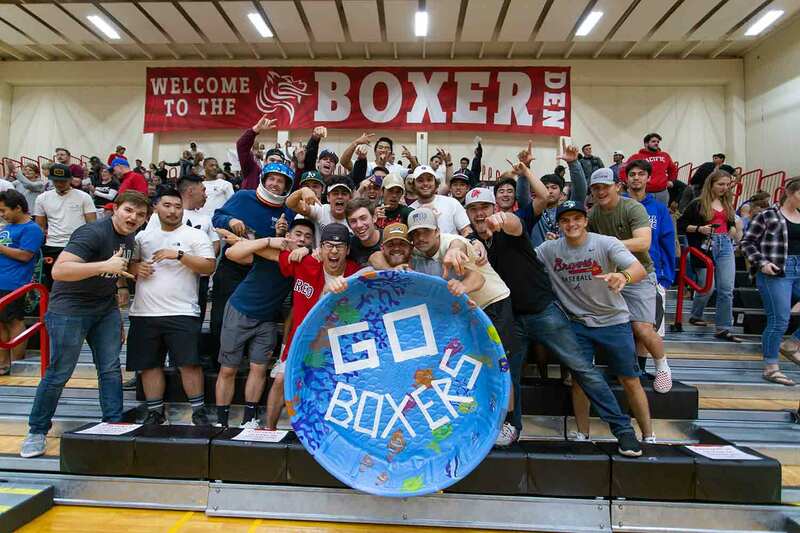 The Boxer’s athletics programs are a major aspect of Pacific and the best thing for the athletes is when people show up to support, and this is what Red Den and Kambel are trying to accomplish. If you are interested in joining Red Den contact Danny Kambel. Glad to see this. As a Boxer Club member and a football season ticket holder since the first season of the reinstated program in 2010, I’ve seen the decline in student attendance as well. We want the stands packed and LOUD for every game. Students–you are the 12th Man. We need you there!